And with more than a month to go in the campaign, backers of "Reading Rainbow" pushed the pool of money on Kickstarter past $2.6 million. "We just crossed the million-dollar threshold on the first day. 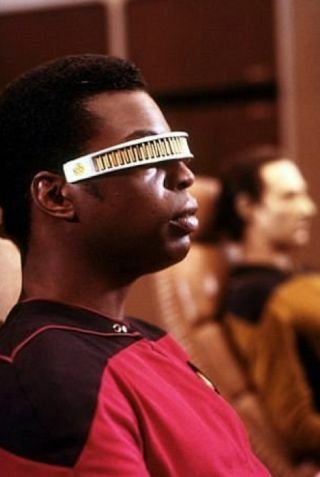 I am overwhelmed," a teary LeVar Burton (Geordi La Forge on "Star Trek: The Next Generation") said in a video message Wednesday (May 28). "Thank you so much. This will enable us to really, really, really do a lot of good." LeVar Burton plans to revive his beloved children's show into a Web series, create a special version for the classroom and then make it available for free to "schools in need". Unsourced statistics on the website say that 1 in 4 children in the United States grows up illiterate, and Burton said he hopes the campaign will change that. "Reading Rainbow" was originally developed for television when it launched in 1983, which makes it a bit of a dinosaur among a generation raised on iPads and mobile phones. Recognizing this, two years ago Burton's group launched a "Reading Rainbow" app for tablets. To date, users have viewed about 15 million of the videos and books included on the app, he said. But not every family can afford a tablet, which is why Burton wants to make the show available on the Web. The television star also heard from teachers that they wanted to present the show in their classrooms. As the funds mount for the campaign, Burton said he plans to expand "Reading Rainbow" to as many schools as he can. "The first million raised will help us get onto the Web and into 1,500+ classrooms … But now that we're there (! ), we've got some big ideas for stretch goals," Burton stated on Kickstarter. "We promise: Every dollar you contribute will help us bring 'Reading Rainbow' to more platforms, and provide [the show] for free in more classrooms." Follow Elizabeth Howell @howellspace or Space.com @Spacedotcom. We're also on Facebook and Google+. Original article on Space.com.